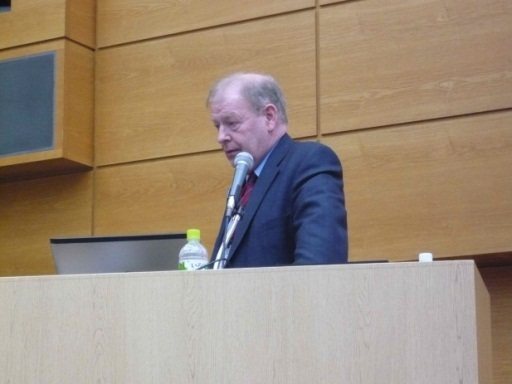 Rupert Blackstone, Managing Director of Wattcraft, represented the Institution of Mechanical Engineers (IMechE), together with the IMechE President, Professor Rod Smith and Ian Arbon, colleague on the Energy, Environment and Sustainability Group (EESG) committee, on a visit to Japan in March 2012 for the purpose of exploring collaboration with the Japan Society of Mechanical Engineers (JSME), particularly in the area of new energy infrastructure. Below is an account of the visit. 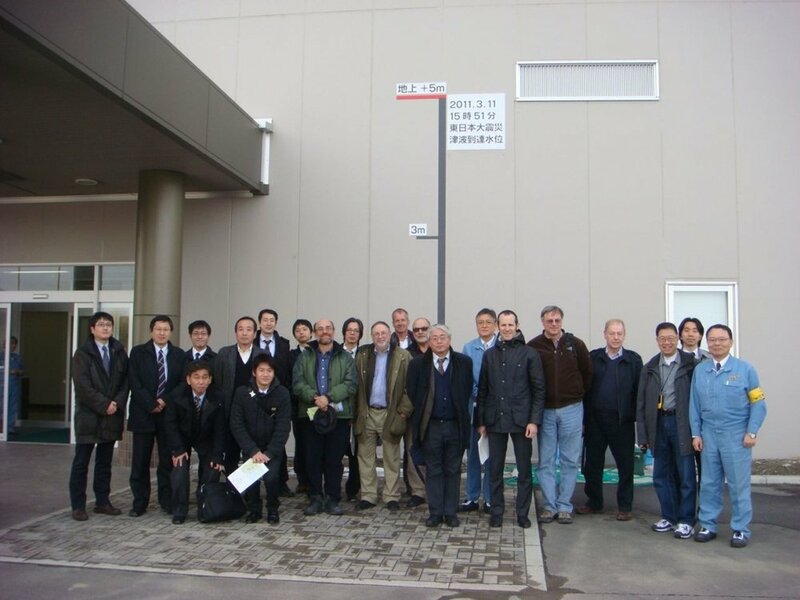 The devastating impact of the earthquake and resulting tsunami in March of last year has presented significant engineering challenges and therefore JSME decided to set up meetings to address these, with input from other countries’ engineers. The hope is that not only can Japan learn from practice in the US and Europe, but also that Europe and the US can learn from Japan, not least because the catastrophic events have provided an opportunity for a radical overhaul of the approach to generating and supplying energy. Post-earthquake engineering lessons learnt conference. The American Society of Mechanical Engineers (ASME) was also invited to participate and sent two experts on nuclear safety standards. Further to the devastating earthquake and tsunami that occurred in Japan on 11th March 2011, the vulnerability of Japan’s energy systems was exposed through the resulting serious accident that occurred at Fukushima Daiichi nuclear power station. The vulnerability exposed was not only technical and economic but also concerned the support of the Japanese public towards nuclear power. The incident raised questions about how nuclear power could be made safer, how the communication of engineers with the public could be improved and also what alternatives to nuclear power should be developed. There are distinct differences in the approach towards energy supply and consumption between Britain (as well as other countries in Europe) and Japan and through understanding these differences and their effects, we can learn what might work best for our respective countries. Both countries are currently committed to nuclear power and together they can work out what role would be most suitable for nuclear power in their future energy mix and how the various challenges of nuclear power may be addressed so that that role can be fulfilled. The UK and Japan have a history of industrial collaboration and this foundation can be built upon to take advantage of the innovation and enhanced delivery capability that can arise from engineers from different backgrounds and circumstances working together. Over the course of the bus tour of Miyagi Prefecture, Tohoku, the group observed some of the impact of the earthquake and tsunami on Sendai (city and surrounds), Ishinomaki area and Onagawa Port (and surrounds). Much clearing up had been done over the course of the year that had passed since the devastating events and the extent of this was impressive. We saw piles of debris behind fenced-off areas and crushed vehicles collected together in compounds, but there was very little in the way of stray debris. Occasionally near to the coast badly damaged buildings could be observed and presumably in some cases a decision might not yet have been made as to whether to rebuild them or pull them down. There were large areas near to the coast where there were once parts of villages or towns, with the only significant evidence of their previous existence being the outline of the foundations of buildings. There are questions as to the extent to which there will be rebuilding in these areas that are so vulnerable to tsunamis. In the area where we stayed in Sendai City, which in parts was very badly affected by the earthquake, there was no observable residual damage and indeed it was very impressive to see how well designed most of the buildings must have been. In the past and currently in other parts of the world where earthquake-resistant building design is not so advanced, it would be expected that the damage would be far greater for such a magnitude of earthquake. Sendai Thermal Power Plant is a modern Mitsubishi high-efficiency 446 MW CCGT plant managed by the Tōhoku Electric Power Company and is situated within around 300m of the coast. There were at least three waves, minutes apart, which arrived at Sendai Thermal Power Plant. 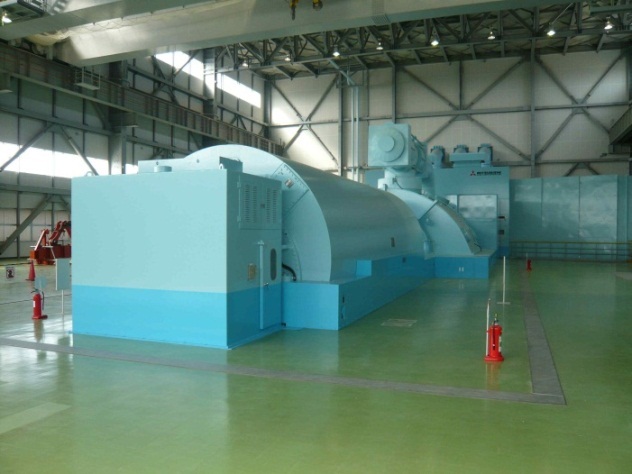 The turbines were installed on the 2nd floor of the power station and so were not directly affected. The 154kV transformers were completely flooded as well as the ground floor controls and it took 8 months to replace the transformers. There was also destruction of an outbuilding as well as external pipework. Further damage was caused through the process of checking the plant. The workers had time to evacuate to the top of the nearby hill before the tsunami hit. 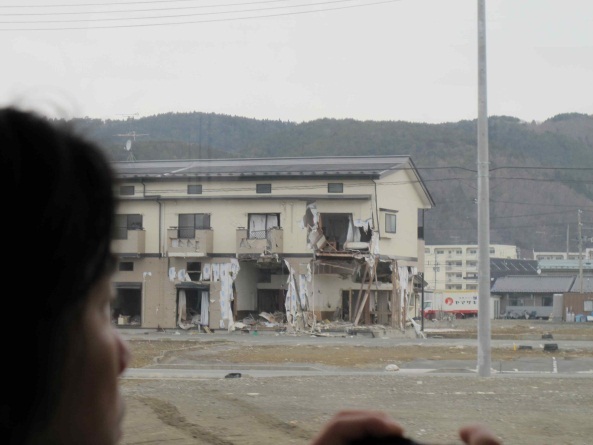 If a comparable tsunami hit the power station again, it was suggested that there would be similar damage, but there would be measures in place for reduced time of rebuilding. Currently there is little margin between supply and demand of components. Onagawa Nuclear Power Plant is a 2,174 MW 3 unit plant, managed by the Tōhoku Electric Power Company. Toshiba, Hitachi and General Electric (GE) were involved in its construction with Toshiba being the lead contractor and GE the main technology provider and it was the most rapidly constructed nuclear power plant in the world. The highest actual tsunami wave was marginally lower than the site level. However in spite of the tsunami not exceeding the site level, there was still significant flooding via the sea water intake structure. The water passed up through the level transmitter channels in the seawater chamber and through the pipe and cable duct into the power plant basement. In the basement there was then flooding of one of the raw water cooling (RWC) pumps, but one of them fortunately remained in service and was supplemented by 8 temporary pumps. One of the RWC heat exchangers was also flooded. 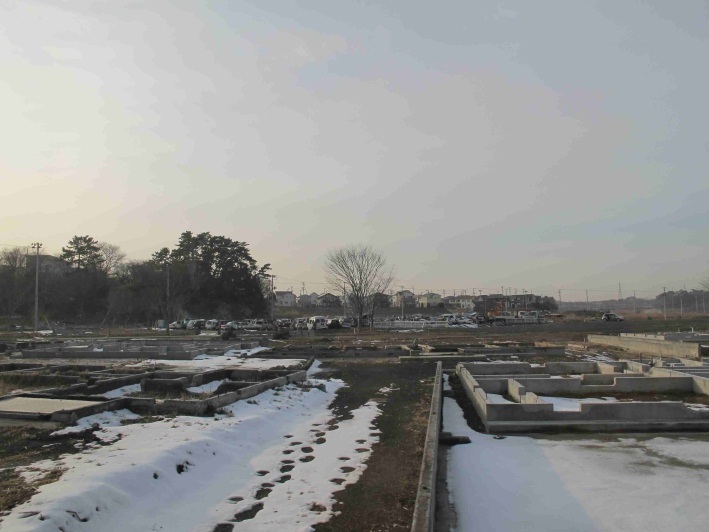 Onagawa nuclear power plant was not far off suffering a similar fate to the Fukushima Daiichi power plant, but the main difference at Fukushima Daiichi was that that the tsunami height (13m) was greater than the site height (10m). The Onagawa plant is currently out of operation and current major projects towards operational capability and required safety level include building of a sea wall and re-blading the low pressure (LP) and intermediate pressure (IP) steam turbine rotors, which suffered rotor-to-stator contact as a result of the earthquake rather than the tsunami. Communication with the public by engineers on the safety of nuclear power needs to be improved. Onshore wind energy. On the main island of Honshu in particular the plains are densely populated and the mountains are not suited to wind farms, generally being steep and inaccessible. Offshore wind energy. Sites are limited due to steep shelving of the seabed off the coast. Floating offshore wind may be a potential future solution, but this is still under development and very expensive. Bioenergy. For similar reasons as for wind energy there are constraints on available land for biomass production. Solar energy. Solar photovoltaics (PV) make an important contribution and due to the high summer cooling load in Japan, the output from PV is better aligned with demand there than it is in northern Europe. However the availability of roof space and other space for installation restricts the extent to which it can satisfy demand (based on currently available technology). Hydroelectric power. Most of the potential for large scale hydro has already been exploited, but there is still some potential for smaller schemes. Tidal energy. The tidal range is not high in Japan and so there is limited viability of this technology. Wave energy. The wave resource is not strong in Japan (due to relatively low wind speeds and deep offshore water). Geothermal. Some geothermal energy has already been exploited and there is the potential for more. One of the main constraints here is that some of the best sites are in national parks and there will be planning resistance to the development of power stations. At the time of the visit there were 54 nuclear power plants in Japan and at the time of our meeting there were only two remaining in operation and both were due to close within a month. In order for them to reopen, the local authority for each power station needs to grant approval, and with the level of anxiety of the Japanese people, this was destined to take some time. Old low-efficiency thermal (fossil) back-up power plants have been brought back into action to compensate for the loss of nuclear power. Japan has managed to achieve a saving in electrical power consumption of 5-10% since the earthquake - to a large extent this had been achieved through scheduled and rotating power restrictions, with cooperation from some major consumers of power. For example Honda had imposed new working patterns on their staff such that, instead of having a predominant pattern of Monday to Friday working, there was a shift towards weekend working. This is helping to spread the electrical load and reducing the need for peaking capacity to be provided by the old fossil power plants. However emergency diesel generators were also being deployed which increased the need for oil imports and was raising cost prices. Furthermore, whilst people were willing to adapt in an emergency situation, it was considered that there was a limit to how long peoples’ sacrifices could be sustained. The conference covered a wide range of topics from seismology, through building design to energy. The focus of the energy presentations was on nuclear safety. Japan’s high level of energy consumption. In line with the Energy Hierarchy developed by IMechE, Ian indicated that it was fundamental that priority should be given to reducing energy consumption and then more efficient use of energy. He suggested that reduction in consumption had to be driven primarily by Government, but that many of the solutions would be developed by engineers, whereas with energy efficiency engineers would take the lead with support from the Government. 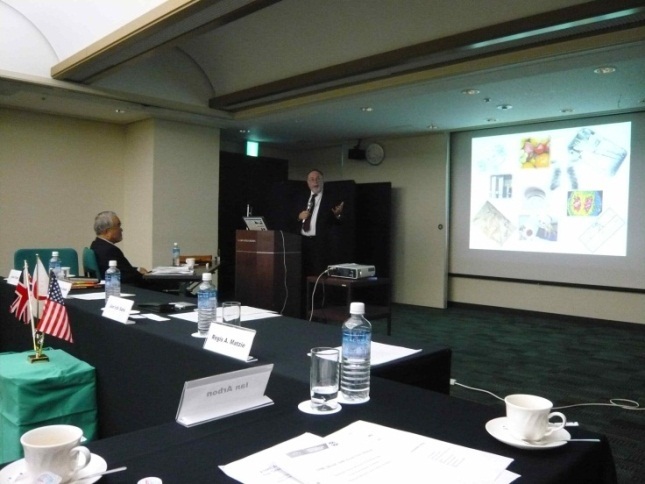 Rupert Blackstone met with JSME again on a visit to Japan in October 2012 and together established the basis for further collaboration in the energy field between JSME and IMechE.